Alleged Nokia P with Snapdragon 835 & 6GB RAM leaked - DroidHolic! Nokia is a hot news these days because just a couple of months are now left for the comeback of the company into the smartphone market with new Android phones. 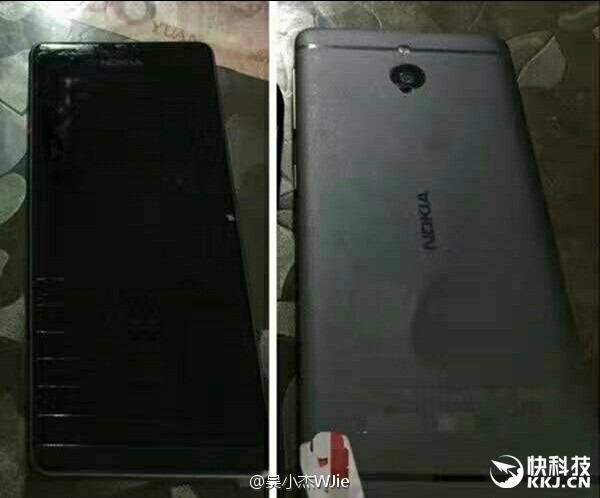 We have already heard about Nokia D1C, Nokia Edge, Nokia C1, blah blah blah… Today, we have new leak regarding the Nokia P! ( What? P? What does that mean? ) Before coming to the news, keep in mind that it is just a leak and that too, from a not so reliable source. So, before considering it, make sure to take a pinch of salt. That will be better. IS THIS THE NOKIA P? Well, the news of the new phone came via Weibo, which has now become the number one place to find smartphone leaks. One of the users of Weibo even posted the images of the device’s prototype along with some major specifications. Ok, without any further talk, let’s directly come to the news. The Nokia P is said to have the recent;y announced Snapdragon 835 chipset and a massive 6GB of RAM. Not only this, the phone will carry a 23MP rear camera with the Zeiss lens. It seems like Nokia is continuing the use of Carl Zeiss lenses for its devices. It is also said that the phone is going to have a Quad-HD screen.